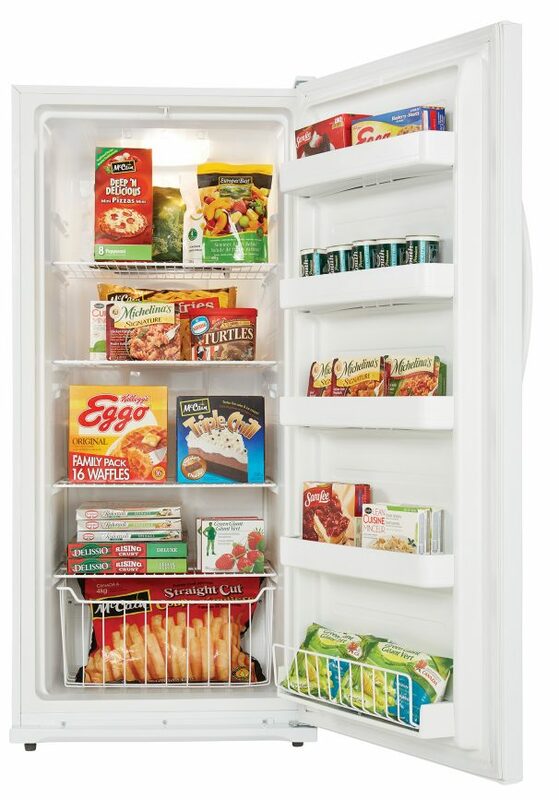 Maximum capacity, efficiency and dependability are what make this classic upright freezer from Danby stand above the rest. This chic unit saves on floor space because of the upright design and the Energy Star rating means it will help cut down your monthly electricity bills. 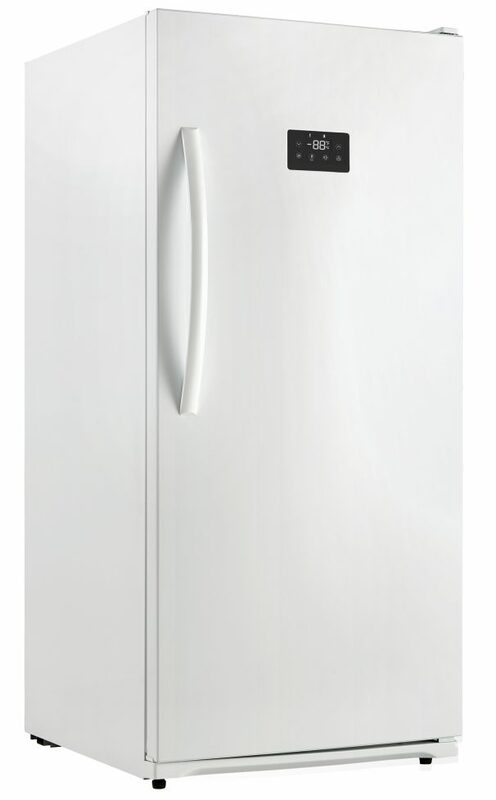 This full-sized freezer provides a more-than-generous 13.8 cubic feet (390 litres) of storage capacity and features a fashionable white interior and exterior design. 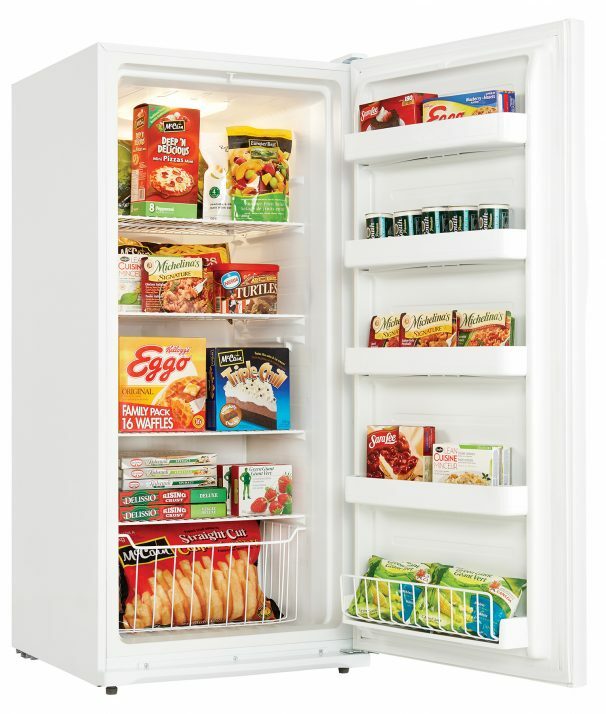 Featuring a digital thermostat for maximum accuracy and a bright interior light that makes it an easy task to find your favourite frozen food items. 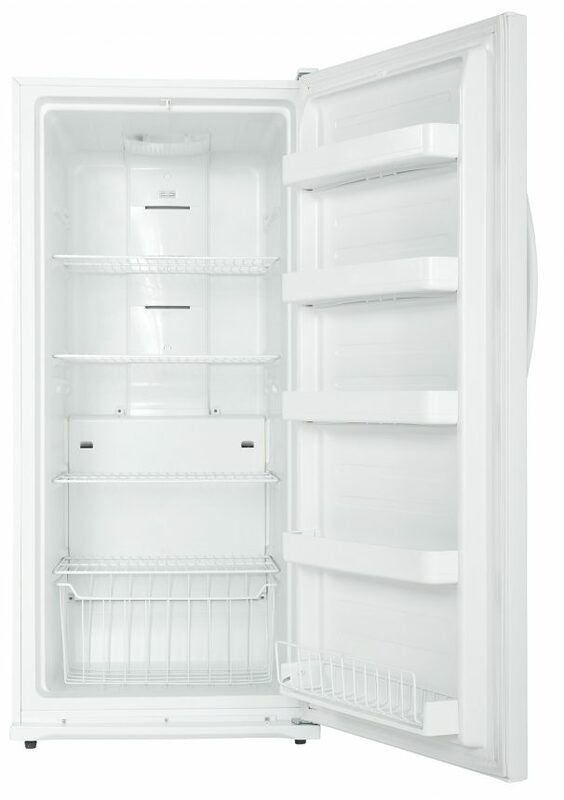 This popular model offers plenty of storage options with four interior shelves along with a sturdy storage basket. 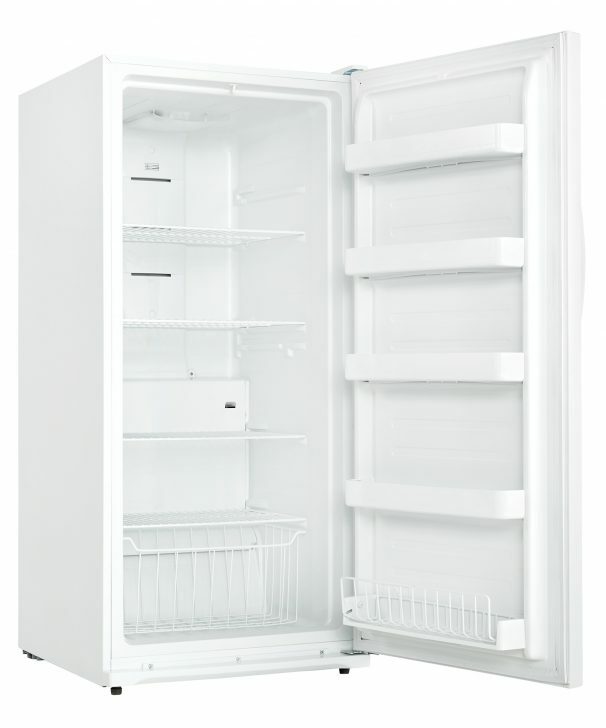 In addition, it comes with a worry-free 18 month warranty on parts and labour along with in-home service.